Bali is a breathtaking island, and every tourist that visits it goes home with a piece of the island in their mind. Want a wellness and yoga retreat? There is a bevy of places to visit. Are you looking to enjoy their unmatched cuisine? Enjoy this from restaurants and family run hotels within the boundaries of the island. But, many know that Bali comes with its fair prices. The good news, you can do Bali on a budget. If the culture of the residents is your cup of tea, their welcoming nature and ever smiling faces will light up your trip. Even better, Bali is pocket-friendly enough for travelers from all walks of life. The amount of cash you can spend on your trip trickles down to whether you know where to look or not. I great way to do Bali on a budget is to think about your transportation. Ideally, public transport is the best way to experience the unfiltered culture of any place that you visit. However, Bali lacks a well-defined public transport system. Instead, their go-to form of travel is in the form of scooters. While this might feel like an amazing way to move around, it might not be the best for most people, especially if you are traveling as a family or group. The other cheaper alternative would be to book a taxi, though you might have to pay an unstandardized fare to move around. Uber is present in Bali, though illegally. The safest option for an unmatched and controlled trip to Bali would be to hire a Private Bali Driver. This way, you can move around whenever you need to and experience the place with your friends beside you. Furthermore, most private drivers have a standard fee that is typically predefined. Another great way to visit Bali on a budget is to consider the time of year that you will visit. 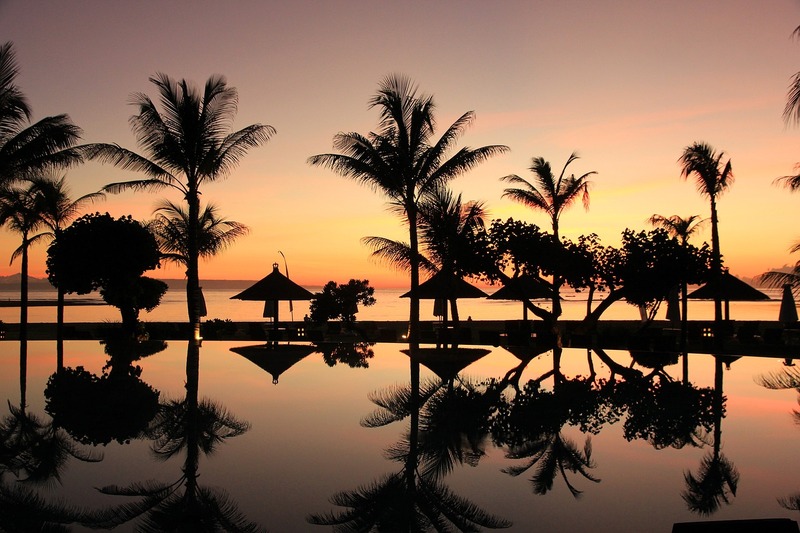 April and May and between mid-September to the end of October is a low season for Bali travel. While the weather is typically fair during this period, you can experience some bouts of rain now and then. Accommodation is typically cheap during the low season, while you can enjoy state of the art services that would have needed you to buy top-dollar during the green season. The downside of traveling during the low season is the aspect of rainfall, but this is something you can roll the dice on as it doesn’t happen every day. If it does happen, you can expect mosquitos, meaning that repellent is necessary. On the flip side, tasks like snorkeling might be cut short due to silt in the water while boat rides will be borderline rough. Since tourism in Bali started gaining traction a few years ago, food locations started popping up everywhere while having different price ranges. Some of the restaurants owned by foreigners might offer amazing but less budget-friendly food as they have the mindset that tourists are willing to spend for the experience. Your best option for budget-friendly food would be in the Warungs. Warungs are family owned hotels that serve a diversity of food items within the Asian cuisine. Furthermore, they offer you an unfiltered look into the culinary and cultural approach of the Bali people. If you want foreign food within Thai, there are also plenty of options. It might be wise to roam around Bali with their sim cards. This will save you the hassle of having to pay for drinks in hotels only to access their public WiFi. Furthermore, it is less risky than using unsafe WiFi, which can at times be slow. Communicating with your travel buddies will also be streamlined when using these sim cards and the charges are standard. You can totally do Bali on a budget, as it is welcoming to people with all types of spending limits. The scenery will leave you wishing for more while the reception from the citizens will make you feel at home. Consider the tips above to enjoy a smooth and budget-friendly trip. Are you looking for more budget friendly travel tips? Be sure to subscribe so you never miss a post!